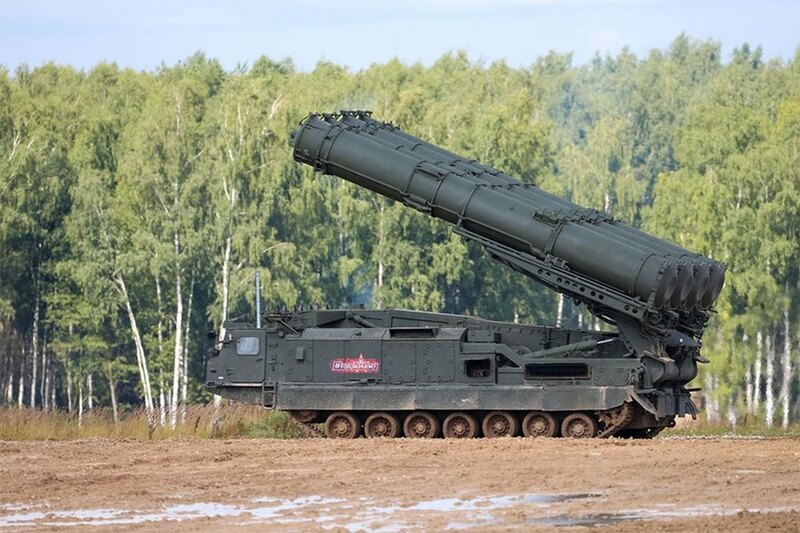 Israel-based Image Sat International (ISI) reported 24 March that the Venezuelan military has deployed more S-300VM ‘Antey-2500’ (NATO reporting name: SA-23 Gladiator\Giant) air defence systems and placed them on operational readiness at the Capitán Manuel Ríos Airbase, 120 km south of the capital Caracas. Satellite images published by ISI show S-300VM systems deployed operationally at the Capitán Manuel Ríos Airbase in the Guarico state of Venezuela. In early February ISI observed S-300VM activity and reported 26 February that the Venezuelan Air Force had deployed Sukhoi Su-30 fighter jets at the airbase. It also noted that Su-30s were deployed on a warm-up pad ready for quick take-off. The Russian-made S-300VM is a mobile surface-to-air missile (SAM) and anti-ballistic missile (ABM) system with a maximum combat range of 200 km. On 24 March the Russian Ministry of Defence sent a Russian Air Force An-124 military transport aircraft, IL-62M jet airliner and more than 100 troops to Caracas. It was reported that 35-tonnes of equipment was also brought in by Russia. There were also reports that Russian Chief of the General Staff of the Ground Forces Colonel-General Vasily Tonkoshkurov was on-board. BBC News reported that Russia has long been an ally of Venezuela, lending the South American nation billions of dollars and backing its oil industry and military. Russia has also vocally opposed moves from the US to sanction the government of Venezuelan president Nicolás Maduro. Russia has condemned other foreign powers for backing Venezuelan opposition leader Juan Guaidó, who declared himself interim president in January. The Russian deployment is a clear message from Moscow to Washington.